The Phoenix Mercury took down the Connecticut Sun 96-86 on the road Thursday night, advancing out of the single-elimination stage of the WNBA playoffs. Though the final score makes it appear as if the Mercury won with a little bit of comfort, their 10-0 run in the final two minutes gave them the only breathing room of what was otherwise an extremely tight, back-and-forth game, as the superb trio of DeWanna Bonner, Brittney Griner, and Diana Taurasi combined for 77 points to prevail over the more balanced effort of the Sun. Diana Taurasi, in particular, was the one who kept the Mercury alive. The 36-year-old veteran tied for a game high with 27 points, while shooting five-of-ten from three-point range and tying for the team lead with five assists. Most unbelievably, she improved her career record in winner-take-all games to 13-0, an impossible yet deserved feat for a woman who appears immortal. Taurasi, seemingly motivated by the hostile crowd in the state where she made her name as a college player, played with the fire needed for these do-or-die games, while also staying efficient and smart on offense. The gravity created by her shooting opened up the necessary space around the basket for the center Griner to go 10-of-15 from the field, which in turn helped allow Bonner to get 23 points to go with her 18 boards. Most importantly, Taurasi always seemed to be the one making the momentum-killing plays whenever the Sun looked like they were stringing a run together. 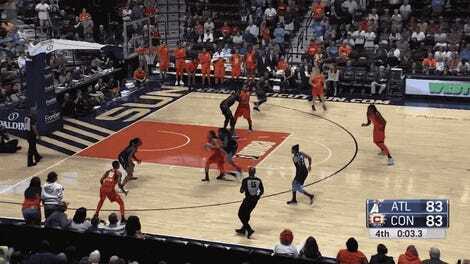 With her team down four points in the second quarter, Taurasi followed up a hard foul on the defensive end with a quick three and a driving lay-up. 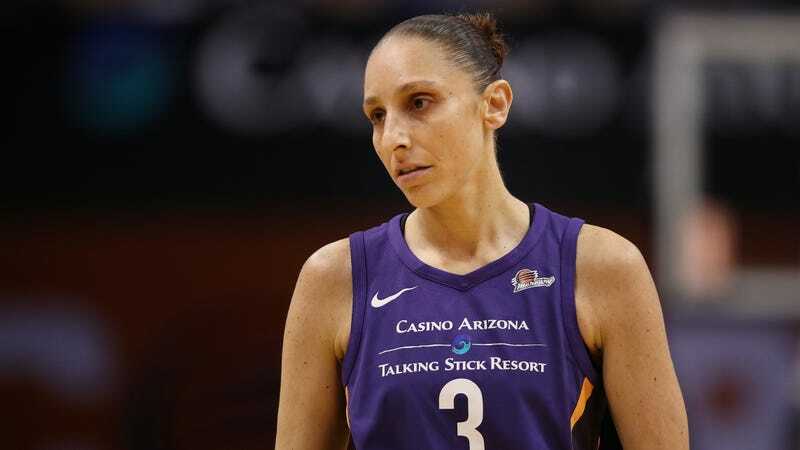 When the Sun jumped out to a seven-point advantage at the beginning of the third, Taurasi averted disaster by assisting or scoring on the next four Mercury buckets, including her go-ahead three. Throughout the rest of the quarter, she kept Phoenix from ever facing too big a deficit with crafty offensive moves. And although in the fourth Taurasi’s scoring was much less of a factor, one of the coolest, most representative plays of her game happened with three minutes to go, when in a tie game she just decided a defensive rebound was hers and refused to give it up. Nobody else on the floor had this kind of intensity. The Mercury will be underdogs as they travel to Seattle to begin a five-game series with the Storm in the semifinals on Sunday. If the series comes down to a winner-take-all game, Taurasi will be ready.